Hi again! 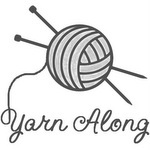 So lovely to be yarn-along-ing! I definitely find that it helps to keep me motivated in both my knitting and my book reading. c) my husband complains and I have to turn out the light. But, I do actually listen to a fair few audio books. Did you know that audio books and knitting go together sooo well. As do hanging out the washing, watching the children play, loading the dishwasher etc. Sadly a few of the things that don't go well with audio book listening is vacuuming (which if I had to pick a favourite chore, it would be) or surfing the internet. But then I don't suppose many people could actually read a book whilst doing those things either. I am listening to 'Hounded' at the moment, a relatively light listen by Kevin Hearne and the first of The Iron Chronicles. I am enjoying it though, which I can't say for every audio book I've bought, so I'll be looking into book 2 shortly. I'm terrible at writing reviews, but the link above has the blurb from the back of the book and is written far better than I could word! I listen to all my audio books using Audible after getting hooked on audiobooks over the summer when I listened to The Hunger Games series. I'd love to know if there are better places (umm, less expensive) to purchases audiobooks too if anyone has suggestions? And what am I knitting? 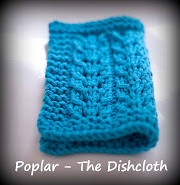 Well, after reading tikki's blog recently I cast on a few Poplar dishcloths - I had one that was a sad lonely WIP and it was about time it was completed. And then 3 more followed in quick succession. There's nothing like dishcloth knitting to help find one's mojo again. Plus, it's hard when you've got secret projects on the go - the thumbnails of my Ravelry projects look terribly sad at the moment as it's all empty boxes because I can't share pics of any of it! Pity these are all pretty much ugly scrappy dishcloths, I can't really use them in my christmas present gifting, but it was satisfying doing something withe the remnants of multiple balls of cotton! I'm just like you with the reading books. Just a few pages before bed if I'm lucky. Maybe without a toddler under my feet I might get some reading and knitting done at the same time .... all in good time! I loved listening to Water For Elephants, that was a good one. I've struggled and not got past the first chapter of The Girl with the Dragon Tattoo though. Audio books really appeal to me, but I just can't imagine when I would get to listen to them! Is that silly? Haha, I totally hear you about the forgetting what you had just read at night..haha..been there done that. I love audiobooks too but I don't ever want to pay for them. I've gotten quite a few from the libary and just put them in my itunes library and kept them. I suppose you aren't supposed to do that...but that is why they are coming out w/ MP3 players for loan instead of the CDs, but I am also checking for CD audiobooks from the libary so I can put them on the iTunes and then have them on the iPOD and on the road forever. We LOVE the Heidi Audiobook narrated by John McDonough. And I have a Pride & Prejudice that I enjoy. another great audiobook was pilgrimage of harold frye; loved the narrator. my DIL LOVES LOVES dish cloths.....scrappy or not. I'd say that pile of yours in quite the winner. I keep telling myself to get an audio book to listen to while knitting. I get them from the library for my children, I'm sure there are grown-up options too. I LOVE audio books! I listen all the time. My local library has an audio section and you can "borrow" books on your iphone for 3 weeks and then they just magically disappear. Also, I recently found http://librivox.org/. They have free "public domain" books that are read by volunteers. Love the dishrags too. I'm knitting a few as well for Christmas gifts. 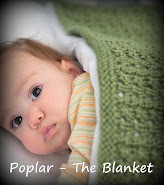 Thanks for visiting me at http://sewtasticallymade.blogspot.com/! Hi Julia, I find reading eBooks on my iPhone a bit hard. It's a really bright screen if I read it without a lamp on. I'd love to try reading audio books but I'd need to buy new earphones. On a side note: I love your blog! I always love when people comment on my blog as I love finding new reads. 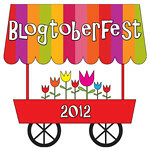 I've added your patterns to my queue and look forward to reading more of your blog. Cheers!